Peak Season requires at least 3 or more nights and we prefer arriving or departing on a Saturday. July to mid-August requires a 7 night minimum. 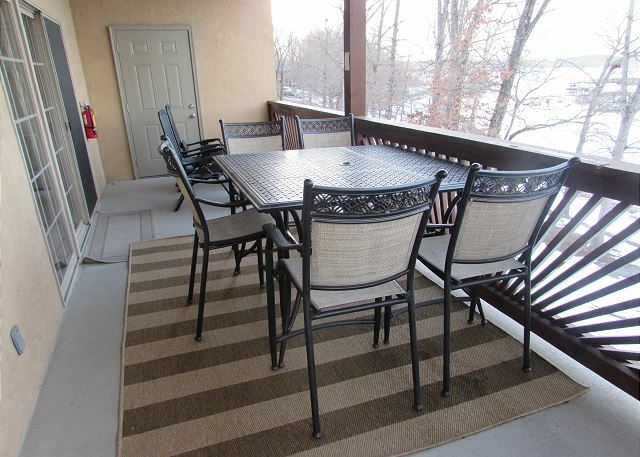 Come to Table Rock Lake and enjoy your vacation in our beautifully decorated, walk-in level, 3 BR, 2 Bath condo. This condo features approx. 1430 sq. ft. for your comfort and vacation with your family or friends. 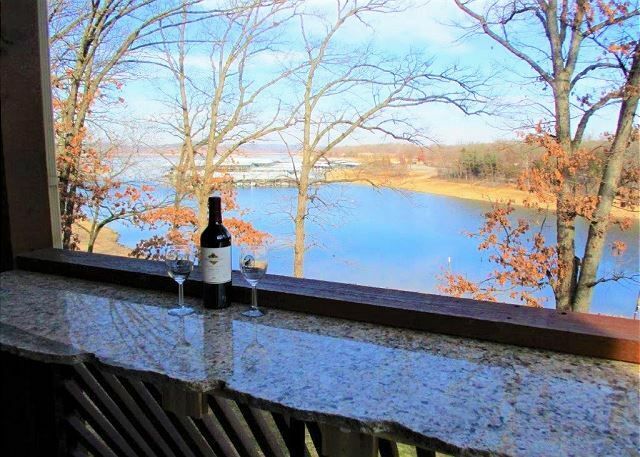 Everyone can enjoy boating, swimming from the dock, relaxing in the Jacuzzi or barbecuing on the large covered 34' deck overlooking Table Rock Lake. Bring your boat and enjoy the 11 x 30' slips. During the cold season, snuggle up by the electric fireplace! Come stay with us, you'll be glad you did! This was my 4th stay at Vickory Resort , my second at B-6. I just love it. Views are amazing . Nice and roomy and just a lovely condo. Everything about this property was great!! The condo was wonderful! Loved the whole unit! Every single room was very spacious. Master bedroom even had a good sized walk in closet! View of the cove from the large balcony. Boat slip was very convenient. Colleen was wonderful to deal with - very accommodating and helpful. Not far from any of the attractions at all. Would definately rent this condo again or any other condo from Vickery Resorts! Nice place to stay. We had plenty of room. No need to go through the Branson traffic. Would recommend to others. Spacious, well equipped, great location. This place had it all. It was close enough to Branson that we could enjoy it but far enough that we didn’t experience the traffic. Our only recommendation would be to have a few more trash bags and more toilet paper as that is not something we thought about needing to bring so we purchased additional for our weeks stay. 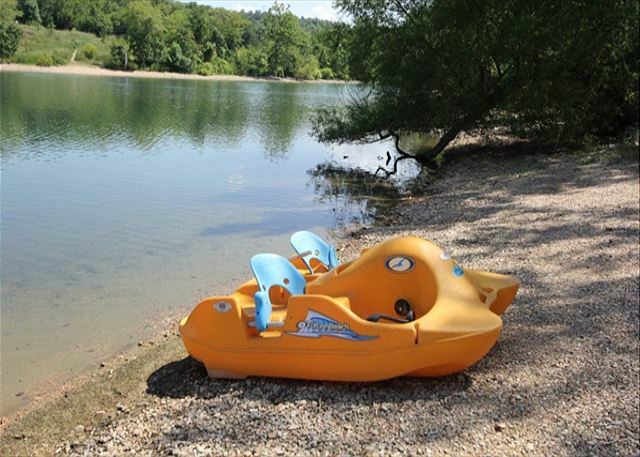 We have a boat, so Vickery Resort is perfect for us. 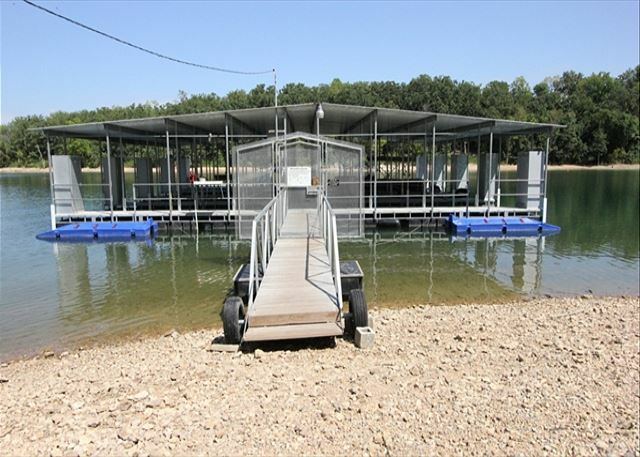 The dock is very close to the condos and the boat ramp and trailer storage are also convenient. 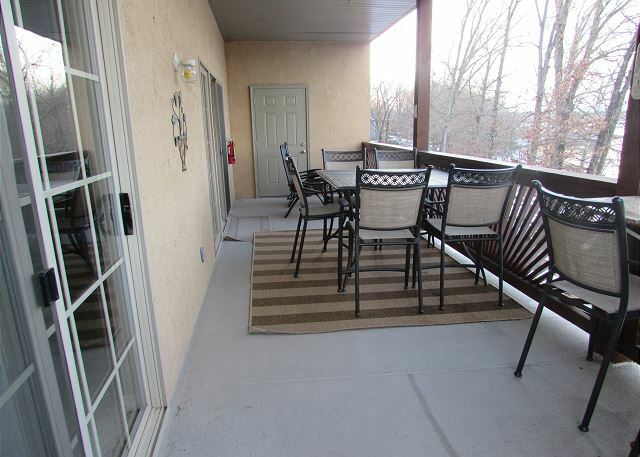 The condos are well equipped and perfect for our large family. We will be back! Love this condo! It was nice, clean, and roomy. We loved this condo. It was nice and roomy. Our biggest complaint was all the additional charges that we feel should have been included in our rental, i.e. dock fees just to get on the dock, paper goods not supplied, cleaning fee, and registration fee. When you pay this much to rent a condo, we feel these amenities should have been included in the weekly rental charges. this is our second time to stay here and we loved it just as much. It is close to the lake, far enough from town that it is peaceful but close enough that you can get there in 10-15 minutes. We LOVE it and are already looking forward to coming back! We rented 2 condos at the Vickery Resort for the weekend. Both were very nicely decorated and VERY clean. The view of the lake was beautiful off of the balcony. It was so nice to have the space to gather in the condo and it was very quiet there. I would definitely recommend any of these condos to anyone looking for a reasonably priced, clean and quiet property. We will definitely return. Lake views absolutely beautiful! Nice rooomy condo! Will definitely stay again! We were pleasantly surprised upon entering the condo. Very warm and home like feeling. We were on our first trip to Branson and hope to stay at Vickery resort again soon. Even though we got skunked on the lake. Hope to see every one there soon. Thank you for allowing us to stay at your resort. This condo is exactly as described. It was super clean and very organized. No steps made it easy for the senior people in our group. Can't wait to stay here again. This a great place to get away, great condo, clean and modern, nice people to deal with. We will be back again next year. My family of 4, my parents and my 97 year old grandmother all stayed together! It was a great space and everything was just like home! We had plenty of space! The lake was beautiful and super close. The private dock area was very nice. We are definately going back! It was awesome, been going to Branson/Table Rock for 25 years and this has to be the best lodging experience I've ever had. Convenience to water and dock was amazing. Will totally return to this place again. We absolutely loved our stay at Vickery. The room was beautiful and we loved the balcony area. The grounds are well kept and the hosts are wonderful. Would love to return! Great Location, There were a couple of minor issues. When turning on the water, it shot out air and chugged for awhile and smelled bad. Not sure anything can be done about the sulfer smell. There is a floor drain that I put water in to keep smelle coming from it, and the carpet between the master bedroom and where it meets tile to the bathroom has carpet spikes that you will find if your bare footed. ButI would not hesitate to go back again, grgeat place. Thank you Chris for taking time to give us your review and making us aware of the carpet. We have now fixed these items and appreciate guests letting us know if something is not working well. A new water heater installed and no spikes in the carpet! Please come and stay again with us. From the first conversation with Colleen to our arrival and departure we were never happier with our decision to stay at the Vickery Resort! 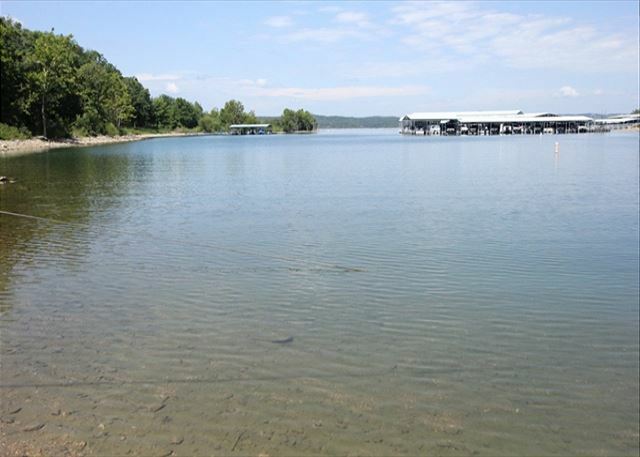 Great location for all the lake has to offer! Cleanest condo we have ever rented! ( and we have stayed at at least 12 places we can remember!) can't ain't to return next summer! Thanks again, Colleen. Thank you for your review on Vickery Resort. All seasons offer a great time to spend in Branson and we will look forward to your next visit with us! Appreciate your comments. We were there with 7 people, and never felt crowded . It is big and everything is in the kitchen to use. Chill out, and enjoy the lake ! Collen and her team, make this resort our go to spot for my family. See ya next year ! We have stayed at Vickery's several times. A great place. Highly recommend it. Exceptional Stay at Vickory Resort! We were there for 4 days and the condo was fantastic. 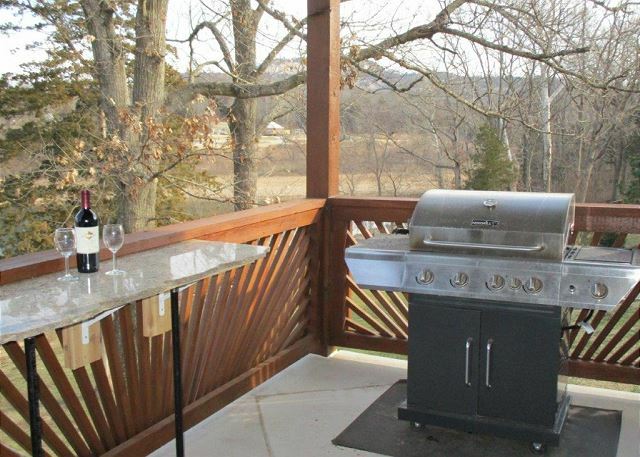 We have stayed at other condo rentals in the Branson Area, but this resort is far and above in the experiences that we have had. Colleen was a joy to work with and so accommodating. The facilities are wonderful and very beautiful. 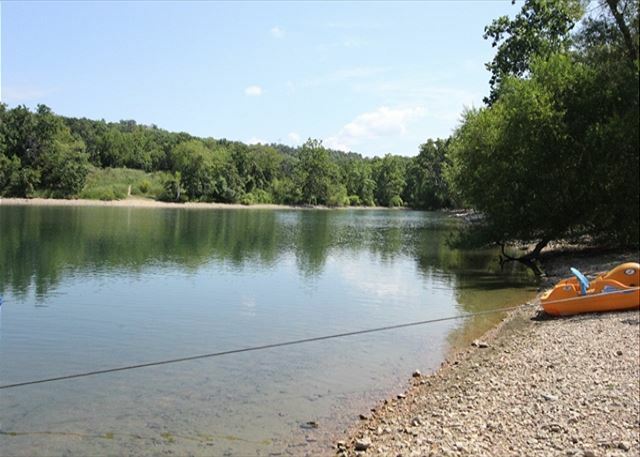 The location was perfect to explore Branson and not get caught up in the traffic on 76 Hwy. Thank you for a great stay and we will be back! Just what we needed. 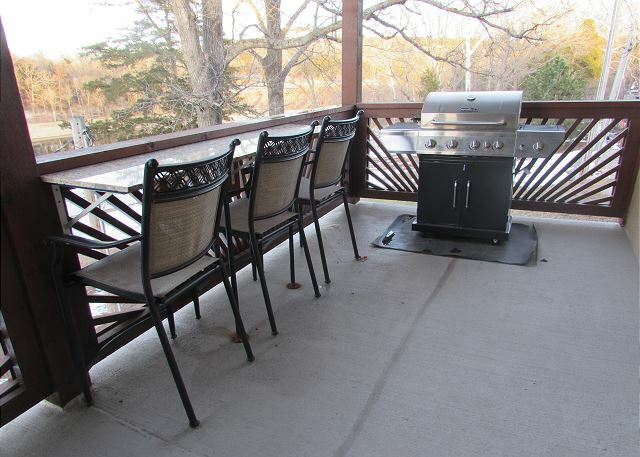 The condo, the property,as well as the management and staff were excellent. Very helpful from the first call to our departure. We were able to relax, and enjoy some great family time on the pontoon boat, which was in great shape and well. Overall, EXCELLENT and we will be back in the fall. EVERYTHING WE HOPED FOR AND MORE!! My family and friends can't say enough good things about Vickery Resort or our stay there. The condo was amazing, just as pictured, clean, well stocked with everything you could need and the location was perfection! 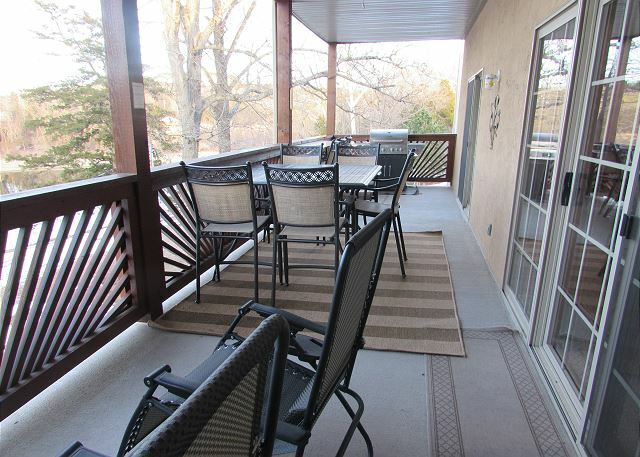 The big balcony and the view of the lake and dock from the balcony were awesome. We had a truly outstanding vacation and we can't wait to come back next year!! We highly recommend this location! We had a great time! Loved the location of Vickery Resort. We brought our boat and jet skis and spent most of our time on the lake. The dock was great and the Grandkids loved being able to jump off the dock and swim in the lake! Our Condo was wonderful! Very nice and comfortable. The staff was very helpful. Would definitely return to Vickery Resort and would recommend staying here! Great condo on the lake. Lots of room and very clean. New dock I excellent condition. Thanks for staying with us at Vickery Resort. Glad you enjoyed the new dock because we sure do. Take care for now and we'll see you next time. Everything was perfect and met all all our expectations for a wonderful holiday with family. Condo was very clean , organized with everything furnished for all your kitchen needs + rest and relaxing big screen TV and a fireplace. View of the lake was beautiful and WiFi worked well. Awesome new boat dock available with ample parking for autos and stalls for boat. Thank you for your stay. So glad you enjoyed yourselves. Please come back soon. We enjoyed every minute. The units were clean, well equipped and the staff was excellent. Location was great also. A wonderful location, warm and friendly resort owners that go out of there way to make sure you are comfortable and have everything you need. 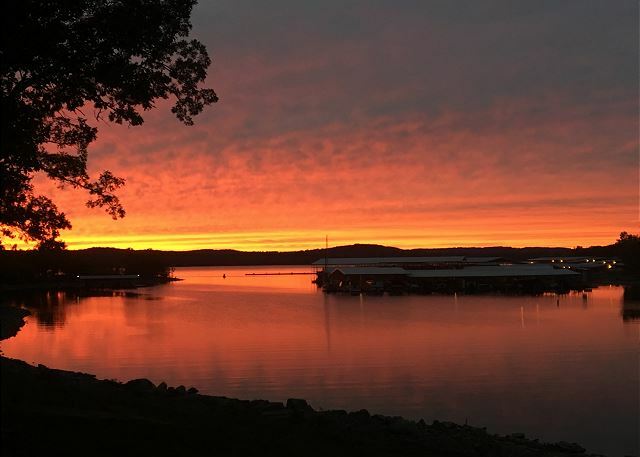 We have been going to table rock lake for 20 years, and this is by far our favorite spot. Thank for staying with us. Glad we could accommodate everything you needed. Hope to see you next summer. Something for all from infant to 84 years.